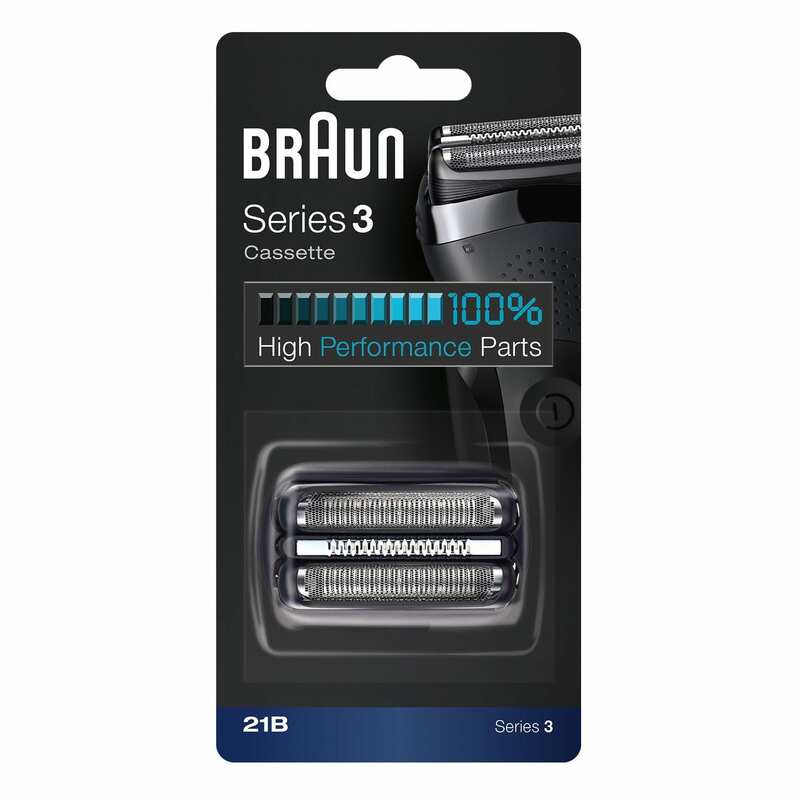 Braun 21B Foil and Cutter replacement head black. For Series 3. I have owned 2 other Brauns that were much higher up the model line and this one is very much worth the price. I have had it 2 years and have a very coarse beard. it shaves as well as the much more expensive ones I&#39;ve owned. I bought it as an emergency replacement on a trip. They always last for years. the batteries eventually wear out on all of them. I've had my Series 3 for about two years. I've dropped it on the floor a few times. It keeps on going. Only now am I forced to buy replacement blades and screens.